Are You At Risk Of Weak Bones? As you are aware Calcium is vital for strong bones, our bodies contain about 1kg of this vital mineral and 99% of it is found in our bones. Most people should be able to get enough calcium through healthy eating. The following tables lists recommended intake levels of calcium and calcium content of different foods. To calculate calcium intake use this link. 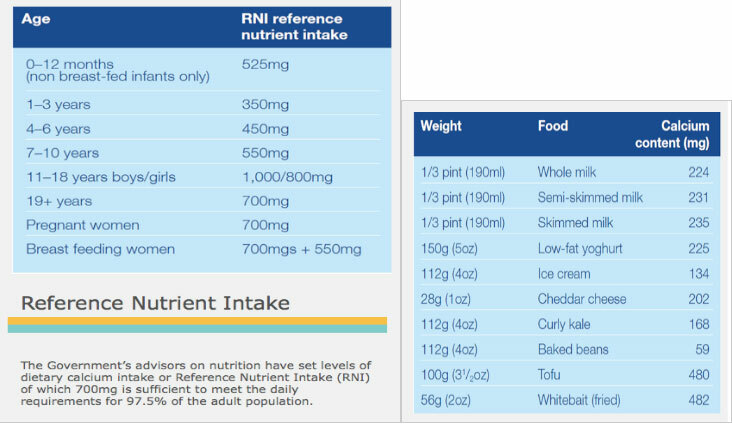 If you would like any information about other nutritional factors for optimum bone health please do not hesitate to contact us.